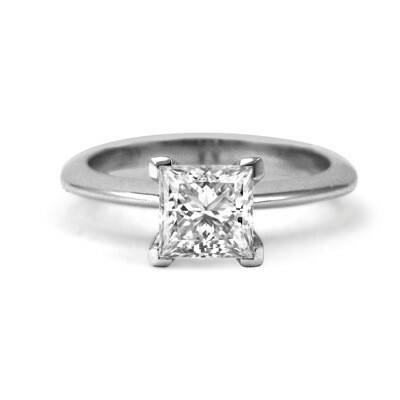 This Princess Cut Diamond Engagement Ring is simple and elegant and easy to wear. The streamlined design flows beautifully with both large and small diamonds, and is easy to pair with a sparkly wedding band. It also looks great in all colours of gold and platinum.